If you’re feeling a disconnection in life, then you will love this free mini video series! 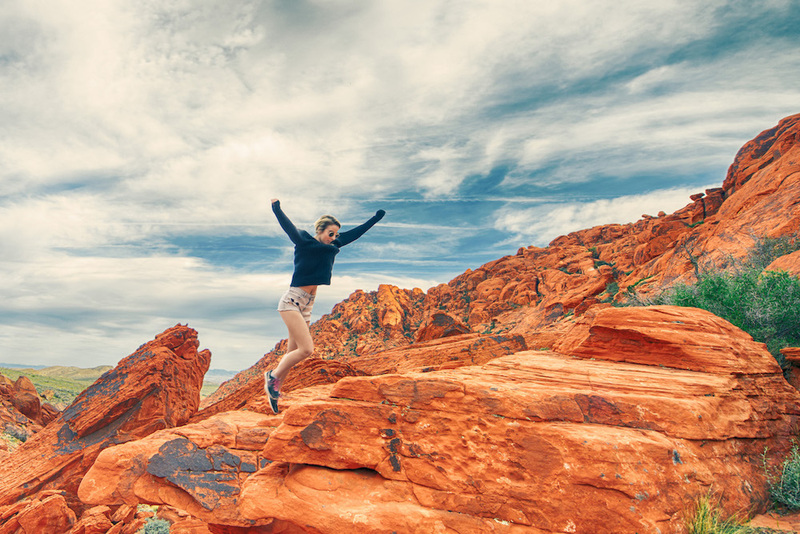 Discover a PROVEN technique to start the process of reconnecting into your natural environment to overcome the feeling of disconnection. “We walk in the footsteps of a thousand generations…what sort of world are we leaving for the next generations? Ngatanwarr (Welcome) to Wayapa® Wuurrk! You can choose from a range of Wayapa® Workshops delivered within Melbourne, in Victoria or throughout Australia. 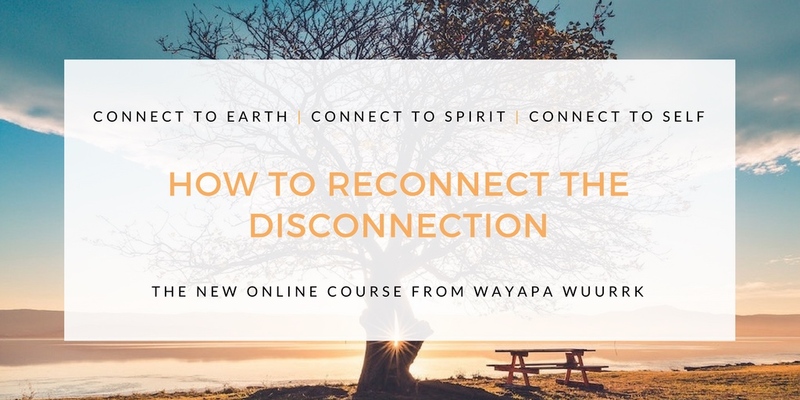 Or become an Accredited Wayapa® Practitioner and help spread the Wayapa® message of healing the planet by reconnecting people to Mother Earth. The truth is the First Australians lived very (very) well, for 80,000 years. Wayapa® brings the wellness secrets of Australia’s Traditional Custodians to modern seekers. No matter who you are or where you come from, Wayapa® is based on Indigenous Knowledge that benefits all people, and most importantly, the planet. 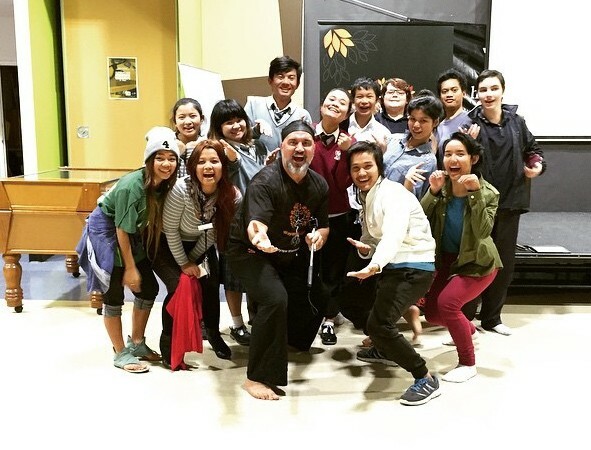 Wayapa® Workshops can be delivered throughout Australia, for Communities, Schools, Corporates and Individuals. 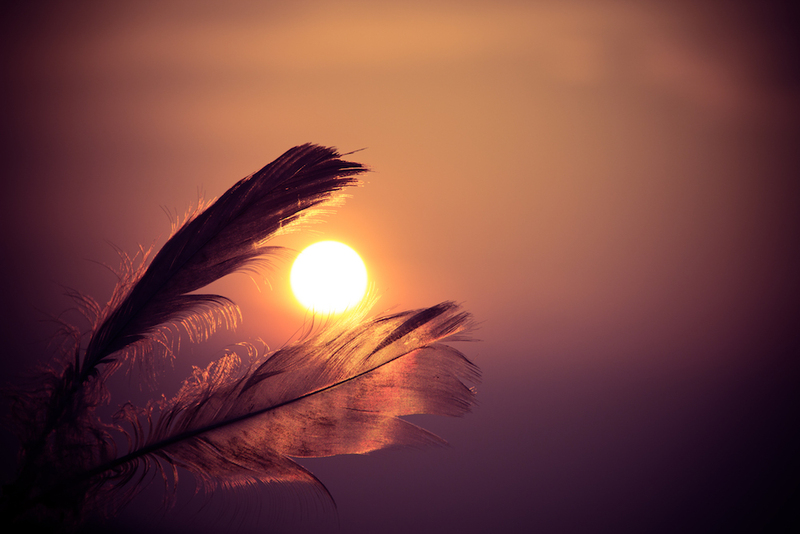 It has been 80,000 years in the making to create an Accredited Diploma Course that combines ancient Indigenous knowledge and concepts into a modern-day Practice that will ReConnect people back into the Earth, to heal the planet and in doing so, heal themselves and others. And YOU can be one of the very first Practitioners to be trained to deliver Wayapa®! Wayapa® isn’t just a certified Wellness Modality that people can practice once a day, Wayapa® is a Lifestyle. It is about developing a relationship with nature to create Earth Mind Body Spirit benefits to keep the planet and us Well and Healthy. How do we know this works? Because it is based on the ancient knowledge of the world’s oldest living people! It is time for us to join together to spread the message of how to be Wayapa®! This was the most fulfilling course I ever completed! 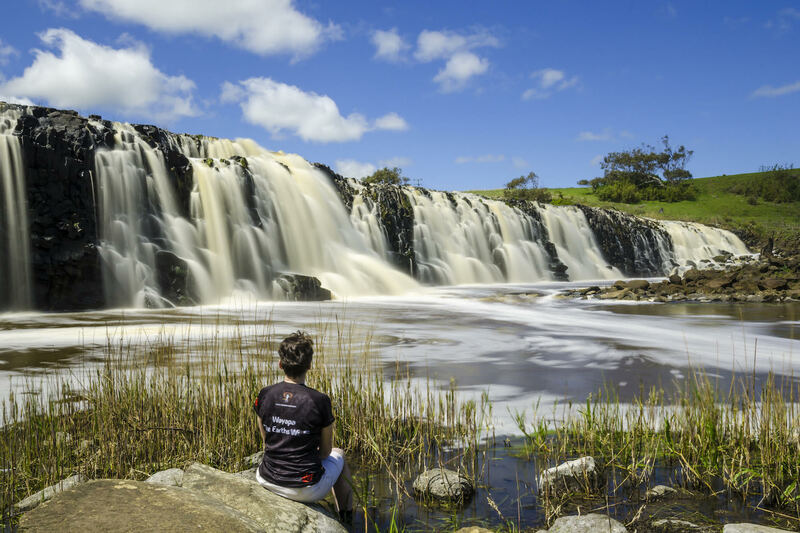 As a non-Indigenous Australian, I had always wanted to learn more about the culture and ways of life of the First Peoples of this land. More specifically, I wanted to know more about how the Traditional Custodians of our land lived in harmony with it. This course provided all that information and more. It instilled in me the wisdom of how to take care of Mother Nature, while also taking care of ourselves. Furthermore, it gave me the skills to go out and teach this to others. Wayapa® is a new way of life for me and I can’t wait to start helping others understand how amazing it is! If you’ve been looking for a practical, physical way to connect with the Earth AND your soul, then look no further. Jamie Marloo Thomas has created it. Before I attended the Wayapa® Soul Retreat I’d practiced yoga and often wondered if there was an Australian equivalent. What I learned was a series of movement that has me remember and respect everything that sustains my life – daily (and in a way that helps me remember my quadriceps too!). The chance to listen to Jamie’s beautiful song whilst learning the significance of each sequence invokes a sensorial experience of the sacred that is hard to fully express in words. There is so much wisdom that the world’s oldest living culture has to share. Thankfully, Jamie is here to not only share it, but make it accessible and personally transformative no matter who you are, where you come from or what you know about Indigenous culture. Thank you Jamie and Sara for an unforgettable experience. Seeding wellness through connection to earth, self and community Wellness is a state of harmony – harmony with oneself and others, earth, nature, and the environment. Wellness is about a strong purpose, sense of belonging and place. 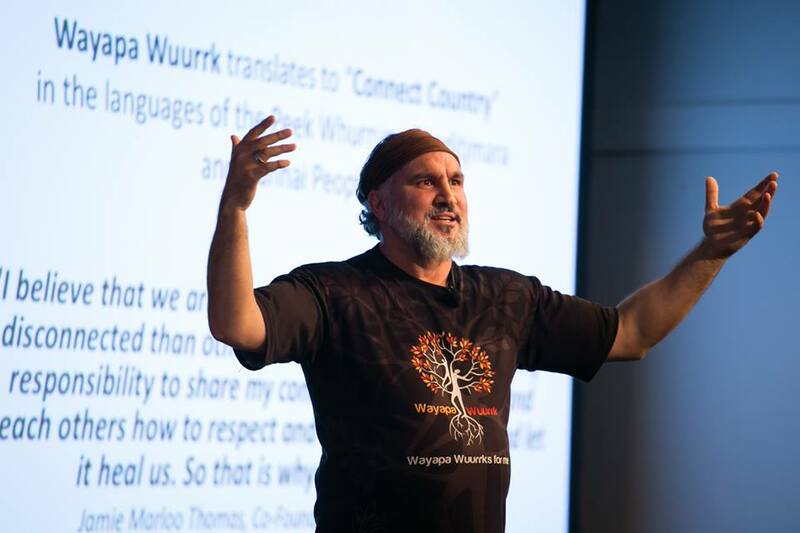 Wayapa® Wuurrk Aboriginal Wellness Foundation promotes Re-Connection to ancient Aboriginal knowledge and culture in a present day context as a pathway to re-gaining wellness – inner peace, strength and greatly improved well-being. 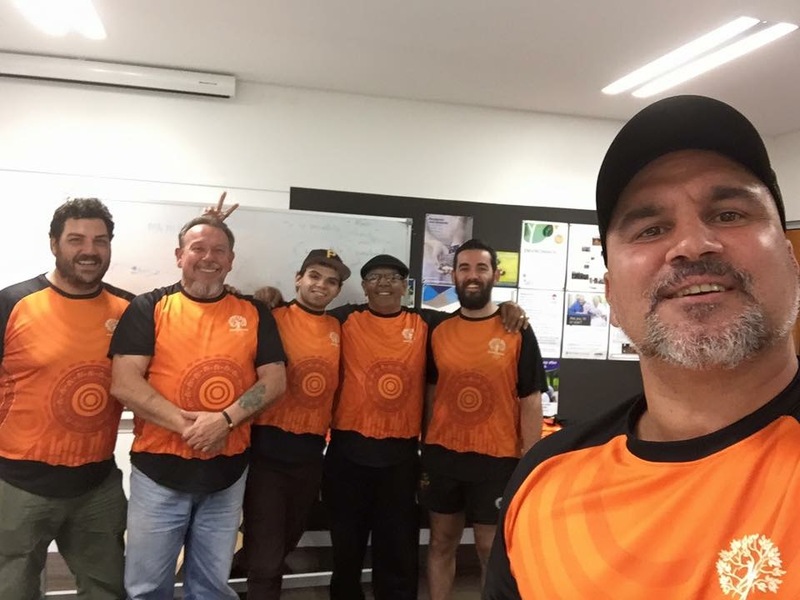 Wayapa® Wuurrk Aboriginal Wellness Foundation supports the delivery of Traditional Cultural Community Structures and Mentoring programs that help young men stay connected to Culture & Country as they move into adulthood, with the support of Elders and Mentors. The Foundation also delivers cultural strengthening and mentoring programs for Aboriginal Men, Women and Children. Programs teach participants about Cultural Respect, Accountability and Responsibility with a strong No to Violence message. In this Wayapa® Yarn, Jamie chats about the upcoming Wayapa® Practitioner Diploma Course. As part of NITV’s Our Stories Series, Martin Adams produced a short documentary on Wayapa®™. In this video blog, Jamie chats about how he uses smoking bowls to honour the Ancestors. We recently took our first step towards bringing Wayapa® to our studio, attending an introductory workshop at the Wellwood Centre. 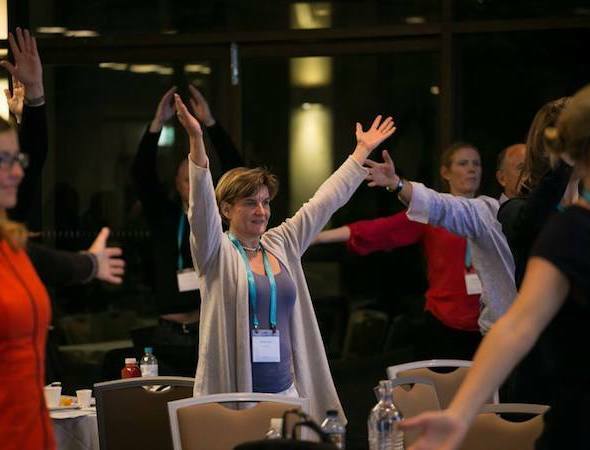 Wayapa® is a new movement modality based on Australian indigenous knowledge, and combines mindfulness, visualisation, narrative meditation, dance and ceremony in a unique sequence of movement. A big thank you to Jamie and Sara for a moving and inspiring workshop, and we’re super excited about learning more from you. Today our office is celebrating the beginning of ‪NationalReconciliationWeek2016‬. We started the morning with an incredibly beautiful Wayapa® Wuurrk Aboriginal Wellness Foundation meditation session. Wayapa® is a form of Aboriginal meditation using traditional Aboriginal movement and the power of the mind to connect to the earth, our spirit and ourselves. Thank you to Jamie Marloo Thomas and Sara Jones for delivering the session. You have left us with a deeper understanding, appreciation and connection to the earth. We hope you enjoy our free Wayapa video mini series! Please check your email for the first in our video series!